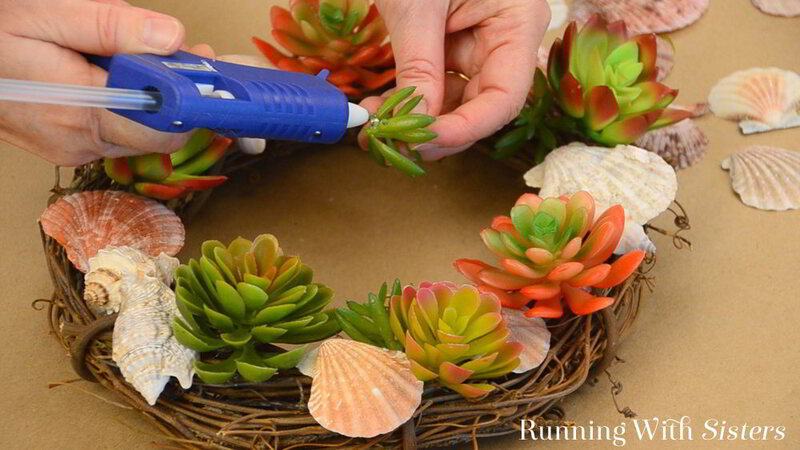 Get ready for summer with a Summer Succulent Wreath. 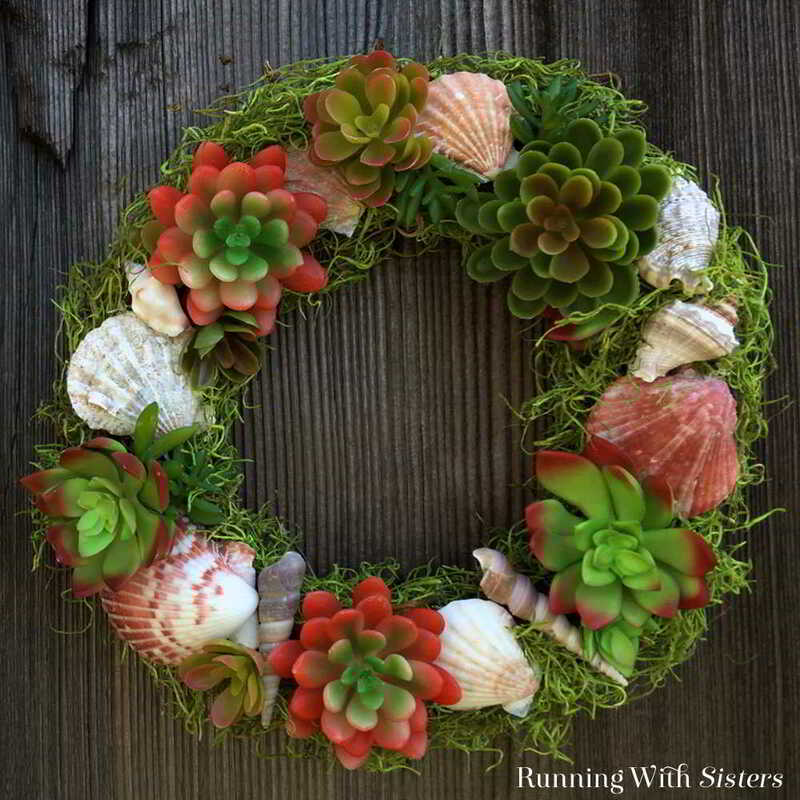 This wreath combines two of our favorite things: succulents and seashells! 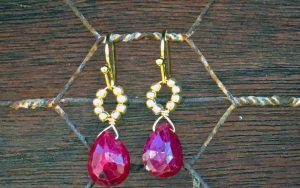 And we think they look gorgeous together. 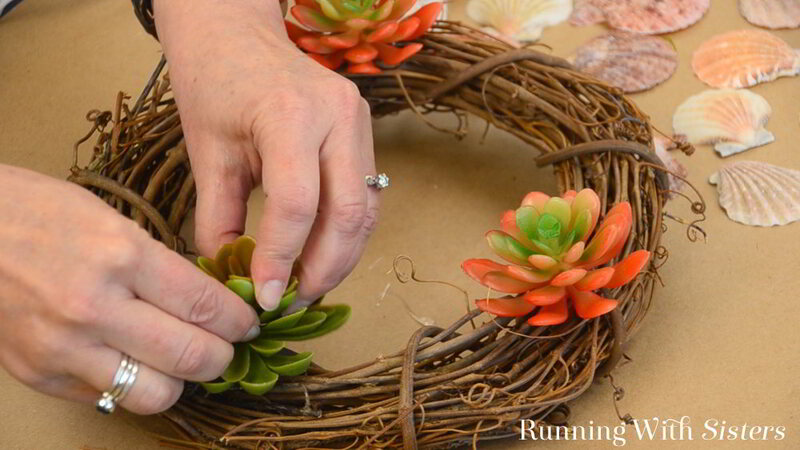 Here’s a video showing how we made this Summer Succulent Wreath. In it we’ll show you how to snip the faux succulents to make custom sizes and how to arrange the shells and succulents on the wreath. Plus we show how to finish the wreath with moss. 1. Start by picking up some faux succulents and shells. 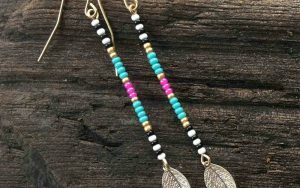 You can find both at craft stores and the dollar store. 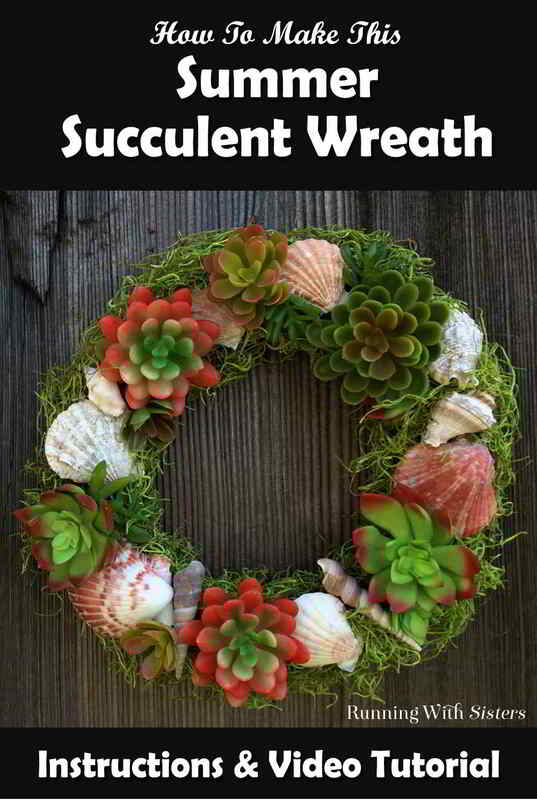 We looked for succulents and shells that had a little red color to them, but you could make this wreath with green succulents and white shells. To create the Succulent Summer Wreath, start with the largest faux succulents first. Trim the stems if they are very long using the wire cutters. To attach each succulent, squeeze a generous amount of hot glue onto the back and on the stem. 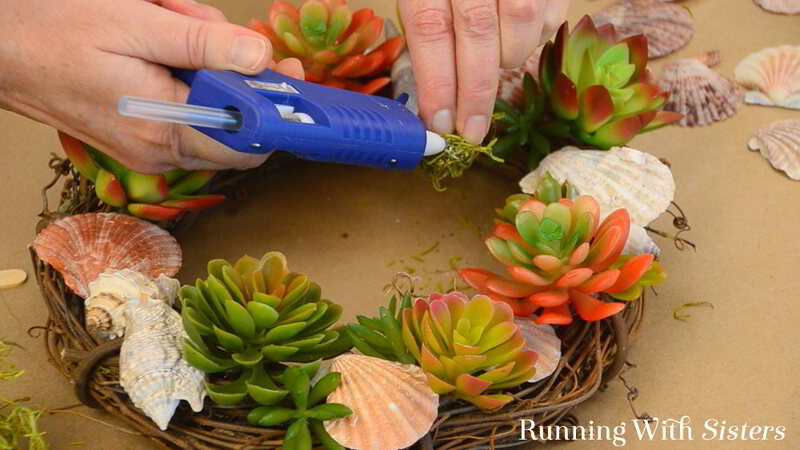 Then slide the stem of the succulent into the grapevine wreath. Press it down onto the wreath. Attach five or six large succulents, spacing them out evenly on the wreath. 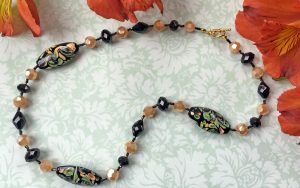 This will create spaces for the seashells. 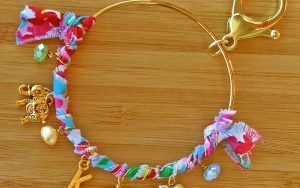 To add the seashells to the wreath, squeeze hot glue onto the back of each shell. 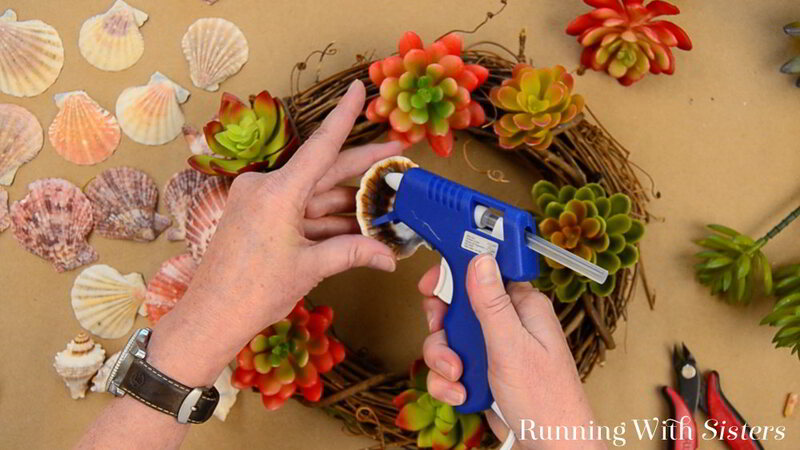 Be sure to put the glue on the raised parts of the shell that will touch the wreath. Add a few seashells between each of the faux succulents. 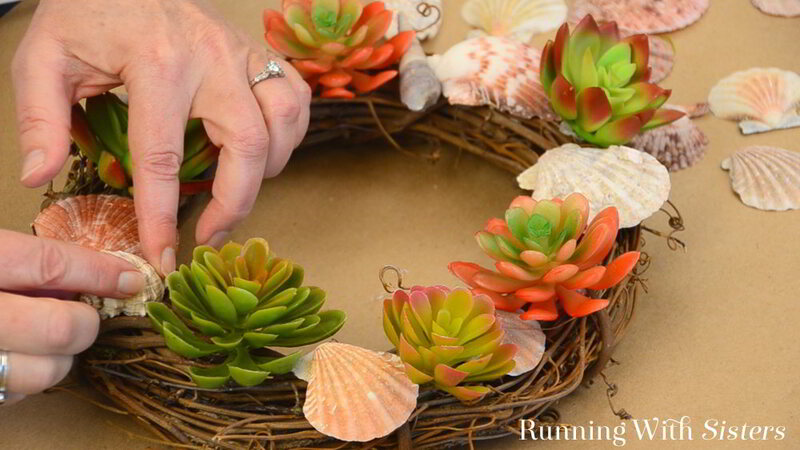 Once you have the large succulents and shells on the wreath form, you can add smaller succulents. 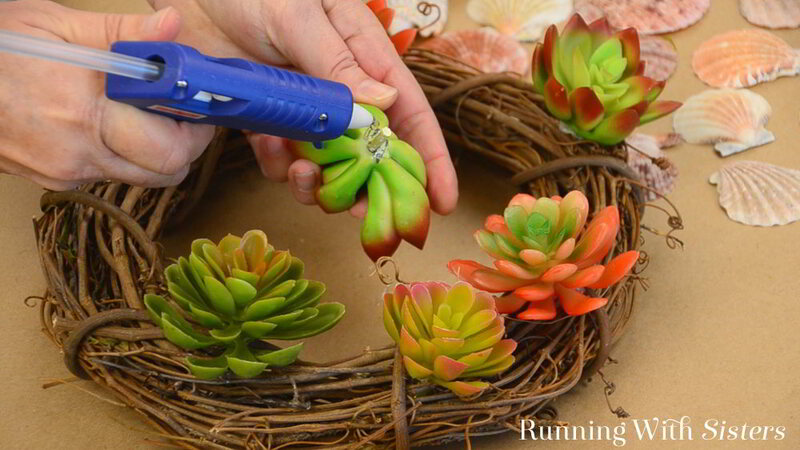 Use wire cutters to cut plastic succulents into the sizes and shapes you need. 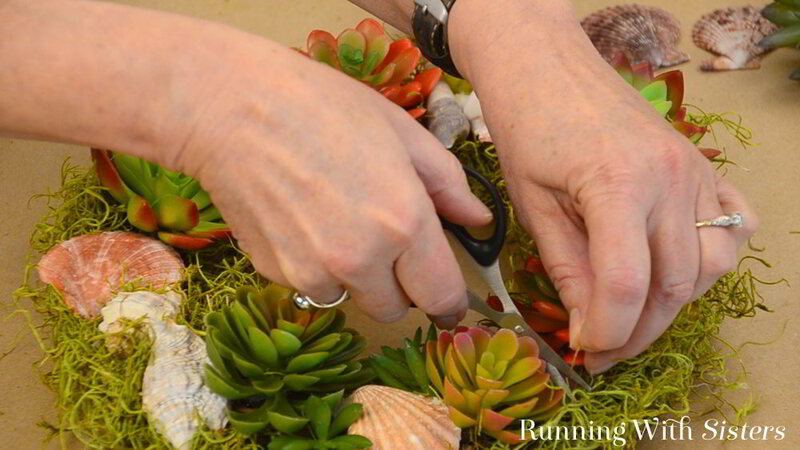 Add glue and tuck them in and around the bigger succulents and shells. Finally, use small clumps of green moss to cover the inside and outside of the wreath. 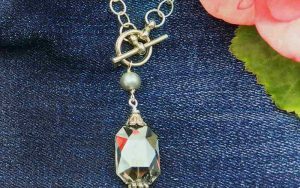 Carefully squeeze hot glue on the moss and poke the moss into place using a craft stick. Trim the moss with scissors if needed. 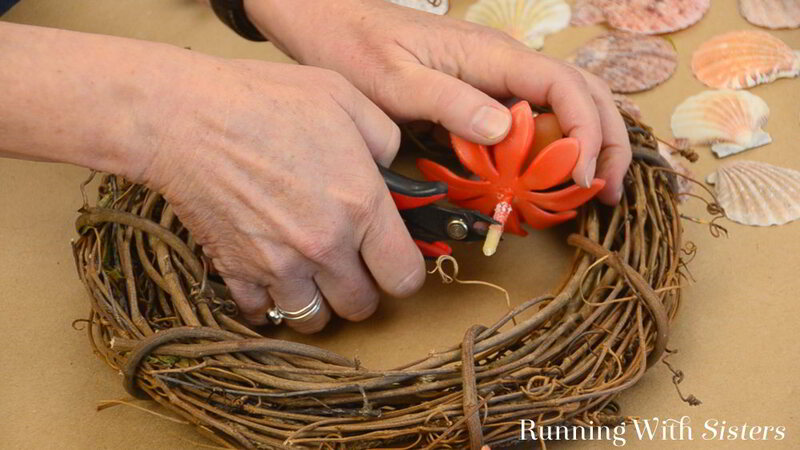 Do you make seasonal wreaths? What have you made? Leave us a comment! And let us know if you have any questions about this Summer Succulent Wreath. We’re here to help.